Our executive king rooms are generously sized and luxuriously appointed. These rooms are ideal for travelling solo or visiting Batemans Bay with a companion. 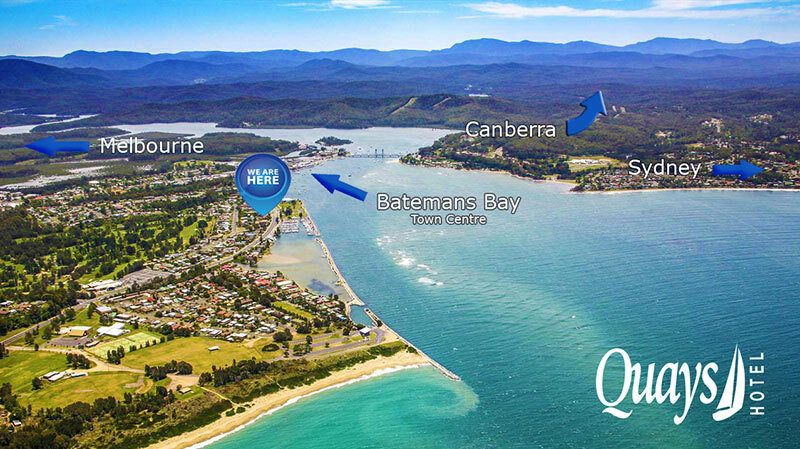 A relaxing king size bed, 50” television, complementary Nespresso coffee and organic amenities set the scene for a perfect stay in Batemans Bay. Featuring a king bed and one single our twin rooms are perfect for a couple plus one or travellers wishing to share a guest room. Comfortable and spacious with a private ensuite, 50” television and sofa to relax on, why not wake up and sip on a fresh made complementary Nespresso coffee while planning the rest of your day. Relax in the contemporary comforts of our spa suite, a bright and airy haven to uplift your body and spirit. Luxuriate in the spa bath and relax with an array of convenient amenities in our largest hotel room featuring a luxurious king bed, expanded sitting area and 50 inch television. Carefully designed for families in mind, this sanctuary is the perfect combination of convenience and comfort. With a king bed and two singles in a private bedroom our family room can accommodate a maximum of four persons while allowing the privacy and additional space needed for a group.